Smoking is the greatest single self-imposed risk to health of all. RISKS TO YOU: Respiratory illness, coronary heart disease, cancer. RISKS TO YOUR FAMILY: Respiratory illness, chest, nose, ear and throat infections. Your family’s risks are increased two to three times if you smoke. Babies who are exposed to tobacco smoke at home are at increased risk of sudden infant death. Young children who have one or more parents who smoke are twice as likely to suffer with chest problems in their first year of life. They will have more chest, nose, ear and throat infections than children whose parents do not smoke. They are also more likely to take up smoking themselves later in life. IF YOU ARE PREGNANT you can damage your baby’s chances of being healthy by smoking even before the baby is born. FACT: Tobacco-related diseases not only lead to many premature deaths but also to years of disease and disability. One half of all people who regularly smoke will be killed by cigarettes, half in middle age and half in their senior years. If you stop smoking before middle age you will avoid almost all the increased risk that would have otherwise occurred. 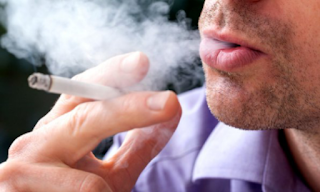 Even stopping smoking in middle age can lower your risk. If you don’t use Tobacco DON’T START. If you do use Tobacco you can lower your risk by stopping NOW. The health benefits will start IMMEDIATELY. Step 1. Monitor your current PATTERN of Tobacco use – WHEN do you use Tobacco and WHY? Step 2. Decide to give up Tobacco NOW – whatever your age it will lower your risk. Is it cool to be addicted? – NO. Choose the day when you are going to stop. If possible choose a day when you won’t be under much stress. Make sure you put away any tobacco, ashtrays, matches or lighters. AND STOP. “I just did it; I stopped”. Step 3. Take notice of special times when you might WANT to smoke and be extra determined. Select ALTERNATIVE things to do when you are tempted to use tobacco. “I chew gum instead: it helps me concentrate too” “I go for a brisk walk when I feel tempted”. Step 4. Practise ways of saying “NO” to help you. “I’ve just given up smoking: please don’t tempt me” “No thanks. I don’t use tobacco any more”. Step 5. Ask your friends to give you SUPPORT. In order to continue being a nonsmoker you need praise from your friends and family that you kicked the habit, that you smell and look better too. When you stop using Tobacco you may have some WITHDRAWAL SYMPTOMS such as increased appetite. This will eventually return to normal. Other symptoms might be disturbed sleep for a while. Some people feel depressed or irritated; others experience light-headedness. You will need EXTRA SUPPORT from friends and family during this time. In some countries nicotine replacement therapies such as nicotine chewing gum or nicotine patches may be available; these can lessen the withdrawal symptoms. If you RELAPSE, remember you are human! Learn from your mistakes and TRY AGAIN. It may be some months before you can be confident that you will never want another cigarette. The chances are YOU WILL BE SUCCESSFUL. “I thought, shall I smoke or shall I be healthy?” “I smelt of spring!” “I was really nervous … I smoked to manage stress. I thought, I can show them they don’t stress me!” “I made sure there was no Tobacco at all in the house so I wouldn’t be tempted”.